Here’s another of the films I watched over and over as a teenager. The humour, the action, and of course, the sticking it to the Nazis – it’s got it all. 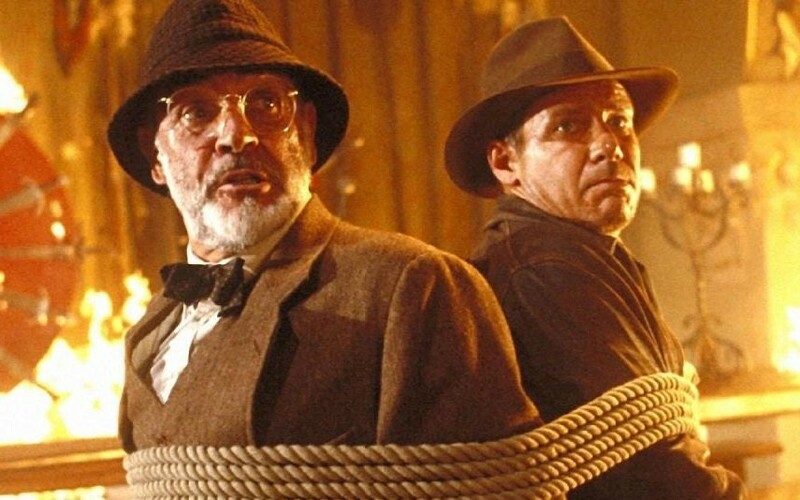 Indiana (Harrison Ford) finds out that his father, Professor Henry Jones (Sean Connery) has gone missing whilst tracking down the Holy Grail for collector Walter Donovan(Julian Glover). The Holy Grail has been Henry’s life’s passion, and luckily his research helps Indiana track him down, but of course the Nazis are about and that doesn’t make anything easy. Watching it again, I think it is Sean Connery that makes this film; he and Harrison Ford together. I can’t recall another film where he gets to be so funny; I think of him as suave and collected and sometimes angry, but not funny. This film truly got Indiana Jones back on track after the disaster that was Temple of Doom. Even the opening sequence, with River Phoenix as the young Indiana gets his morals back on track – it’s all about getting things in museums, not making a profit. Onya, Indy. Indiana Jones and the Last Crusade won an Oscar for Best Effects, Sound Effects Editing and was nominated for Best Sound and Best Music, Original Score.